Our trained specialists follow a multidisciplinary approach to wound healing. After an initial evaluation, each patient receives a comprehensive, individualized plan designed to help heal these complicated wounds. We work to address the underlying cause of the problem, control infection, and improve the overall health of our patients. Our staff will coordinate your care with your primary care physician to ensure your overall well-being. A resistant wound is simply a wound that will not heal using conventional wound healing processes. Over the course of several treatments, many patients achieve wound healing that is not otherwise possible using other methods. Originally developed to help deep-sea divers overcome decompression sickness, also called “the bends,” hyperbaric oxygen therapy is used today to accelerate the healing of wounds that are slow to close on their own. 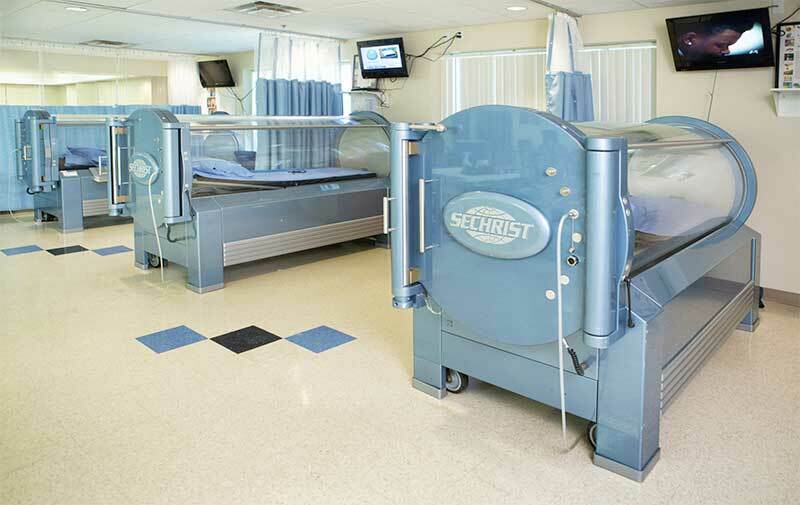 Hyperbaric oxygen therapy is also used to help fight certain types of infections and to treat conditions ranging from cyanide or carbon monoxide poisoning to radiation injuries. For more information about wound therapy, please call (602)251-8714.